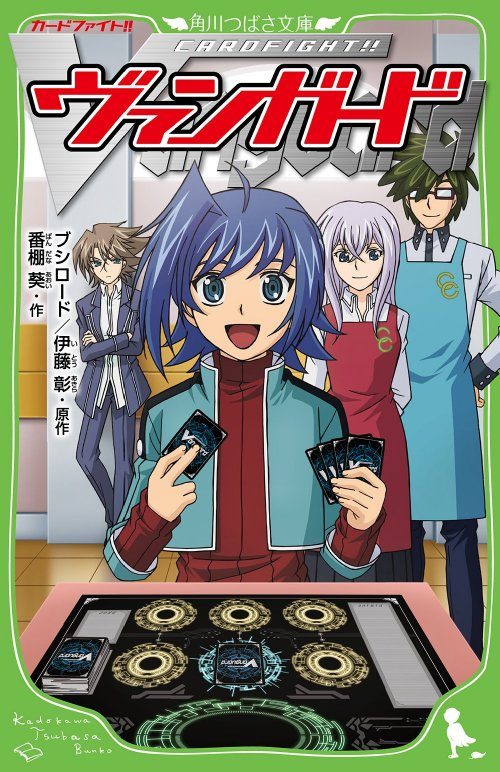 More information has surfaced on the official Cardfight!! Vanguard novel, written by Bandana Aoi and set to be released on May 15th, 2012. The novel's cover art is by TMS, the studio behind the anime series, and its internal illustrations are drawn by Adachi Yousuke, who has previously illustrated cards for the TCG including Durangal, Wingal Brave, Pixie Fife and Drum and others. His gallery can be viewed here. The paperback, spanning 224 pages, is an official product licensed by Bushiroad and published by Tokyo-based Kadokawa Shoten. It follows Sendou Aichi as he meets a new character, Hamane Hiro (浜音ヒロ). 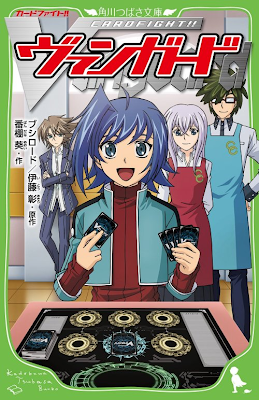 Hiro is a lonely boy and a newcomer to Vanguard, who Sendou reaches out to. The novel is currently available for preorder on Amazon Japan for 777 yen, roughly equivalent to $10, and it is currently eligible for free shipping.